Eddie and Susan Rideout are experienced business owners. They own Hampden Redemption Center as well as a Rideout Enterprises, a commercial cleaning service in the Hampden area. 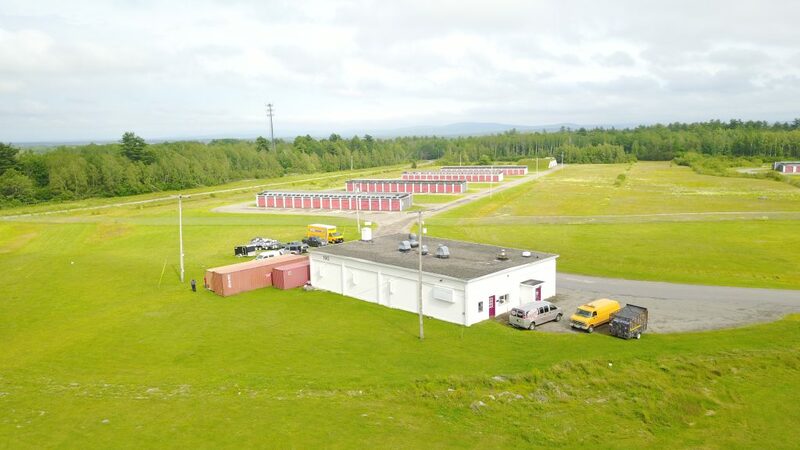 They had the opportunity to purchase another business – a storage unit business in Ammo Industrial Park, a former military location in Hampden from the 1960’s. 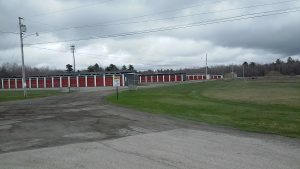 They already rented several spaces at this location for their current enterprises, and did some maintenance and snow plowing for the owners. They were present on the property and had skill-sets to make ideal owners. For help with the purchase of this additional business, Eddie and Sue turned to Business Advisor Ann McAlhany. Ann worked with the couple over many months, dissecting the financial information provided by the seller and working on details of the purchase. It was a complicated purchase and Ann helped them translate what the banks were looking for in order to issue financing. She helped them understand their financing opinions, and helped them complete their business plan and accompanying financials. After months of continued hard work, Camden National Bank saw the possibilities for a viable business and approved the loan, which closed in July 2018. The transition to ownership has been smooth with minimal glitches, and Eddie and Sue are delighted with their new business, Ammo Self Storage. Eddie and Sue also note how much they have learned from Ann in this process. They are now monitoring their financials and have used the cash flow modeling to re-evaluate their other enterprises, making more educated decisions around cleaning contracts or equipment acquisition for the labor-intensive redemption business. For more information on Ammo Self Storage, visit their website. Follow Hampden Redemption Center on Facebook.